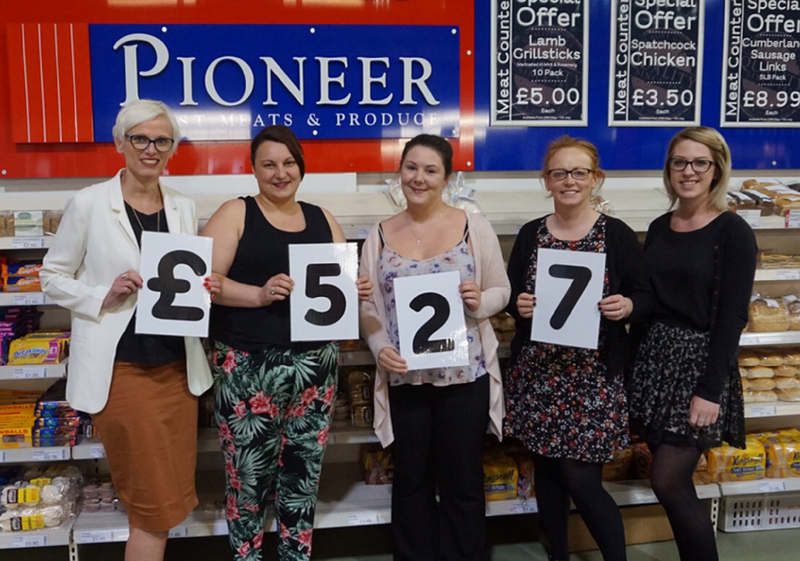 Fundraisers hand over a fantastic amount! Today (Tuesday 6th June) we presented Eden Valley Hospice with the funds our team raised completing the Colour Run. 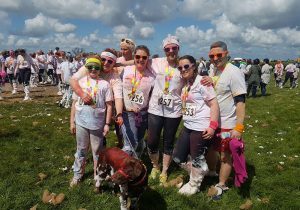 We are very proud that our team raised a massive £527! 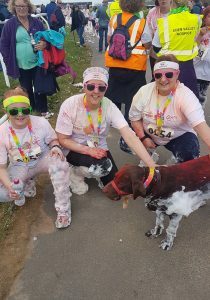 The Colour Run took place on a lovely sunny day, 14th May, and everyone who took part in the run had fantastic fun. You can see from the photos, even Mollie the dog was a great sport! 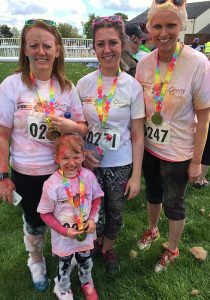 Team Pioneer consisted of: Chris Kerr from IT; from telesales Aiva Woodman, Gemma Gardner, Sammy Smith and Sonya Atkinson and her daughter Evie and Mollie the dog; from accounts Rachel and Rebecca with her daughter, Eden and finally Karen Graham, marketing. We would like to thank all who sponsored the athletes, which included a lot of our Pioneer colleagues. 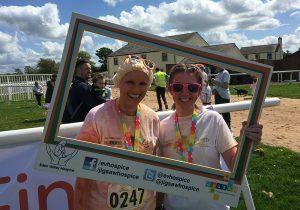 This year we were a sponsor of the Colour Run, supporting the fantastic services provided by the hospice.